Over 20 years ago, we sold our commercial linens in the marketplaces of Sydney and Canberra. Our commitment to you is to provide great products from leading brands at the most competitive prices online. 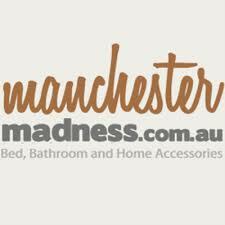 Our mission at Manchester Madness is to provide you with everything you need to create a home you love. We provide the leading home accessories and bed linen brands at the best prices on the market. To complement that, we’ll be bringing you regular inspiration, motivation and education on how you can create a home you love, without breaking the bank.